On summer afternoons, many people of Fabric walk around the neighbourhood, with or without a precise destinations, with or without company. 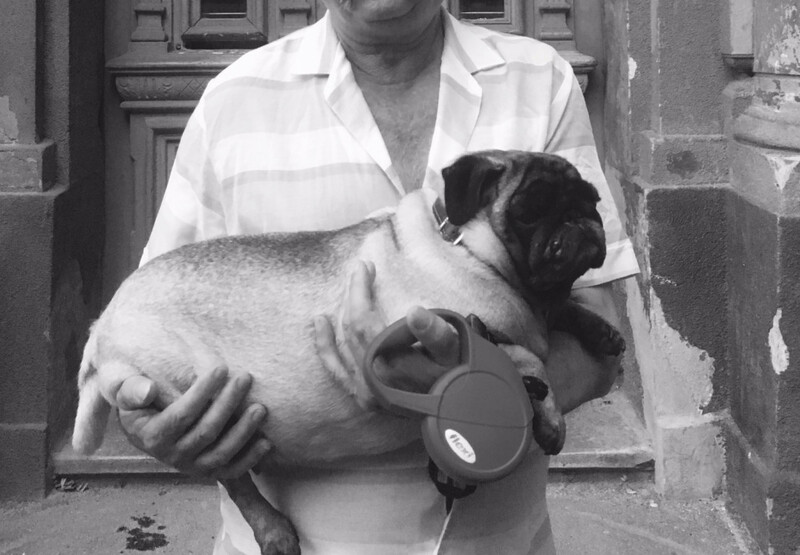 We met Mr. Marin A. while he was walking a pug which we later found out he had gotten from his daughter. He has been living in Traian Square since 1984, at ‘the only one storey building’. He worked at UMT for 30 years and ‘although I could have gotten an apartment wherever, hell tied me to Traian Square’. He’s currently in a long trial with some lawyers because his house’s ownership was claimed by someone else. Unfortunately, he said, he’s not the only one in this situation. It’s the same in the other houses. In Mr. A.’s world, Fabric is filled with ‘old people who cannot find their day to day peace’. We haven’t had the chance to meet him since, we don’t know what happened to his case or if he found the peace of living at home, without fearing that the roof over his head may be gone tomorrow. We really hope he did.